Not needing to reach for a drink is eco-friendly, as most drinks come in plastic containers. Sometimes drinks are not readily available or are not helpful towards getting hydrated (like soda), so pineapples let people have something to keep them hydrated among a usually option-lacking environment. 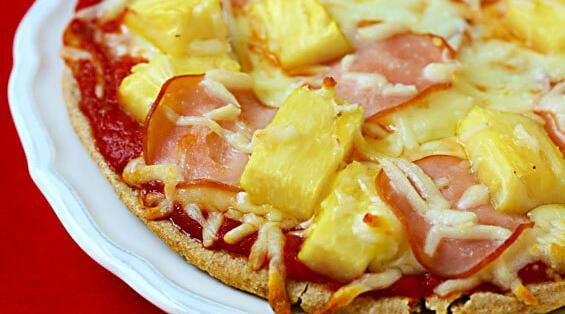 Pizza can be a bit dry, so pineapple helps provide much needed moisture. One could eat the pineapple and pizza separately to loss less moisture due to heating the topping. People might still have to drink, so it won't be a benefit if people still need to buy one. Pineapples have sugar, which is more likely to generate thirst than quench it.